Beattie Passive has launched their new innovation, Volumetric Modular Flying Factory. 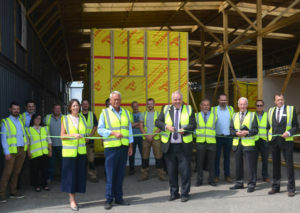 This cost effective factory set-up has been developed to deliver high quality Passivhaus homes across the UK. This includes their latest innovation: Pop-up Relocatable Homes designed to meet the need for affordable, high quality housing for the growing homelessness crisis. 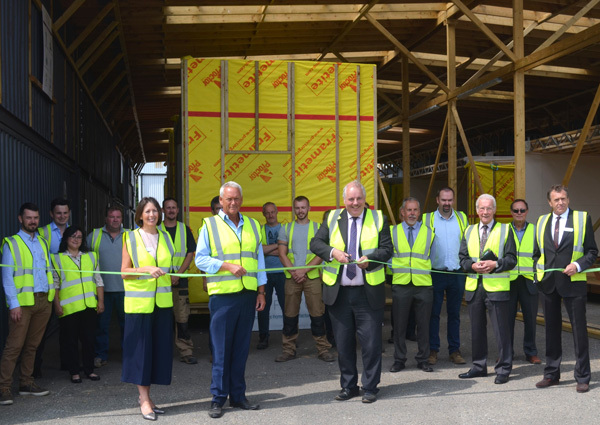 Beattie Passive’s Flying Factories enable Housing Associations and Developers to deliver their own Passivhaus standard housing with off-site manufacture and rapid on-site assembly. Beattie Passive provides all of the know-how, experience and support to help Housing Associations and Developers to set up and run a Beattie Passive Flying Factory for onsite and volumetric delivery, providing them with the confidence and ability to manufacture Passivhaus on a large scale with their own local labour and ability to control their own costs. Beattie Passive’s Passivhaus Housing presents a gamechanger to the market – high quality, high performance housing that is built to last a lifetime. Please note that the AECB does not endorse or recommend any particular products or services, whether specifically or generally, and professional advice should be sought in relation to all quality, health and treatment decisions where necessary. We provide information and listings only which we hope are helpful, however full disclaimers and warranties apply.